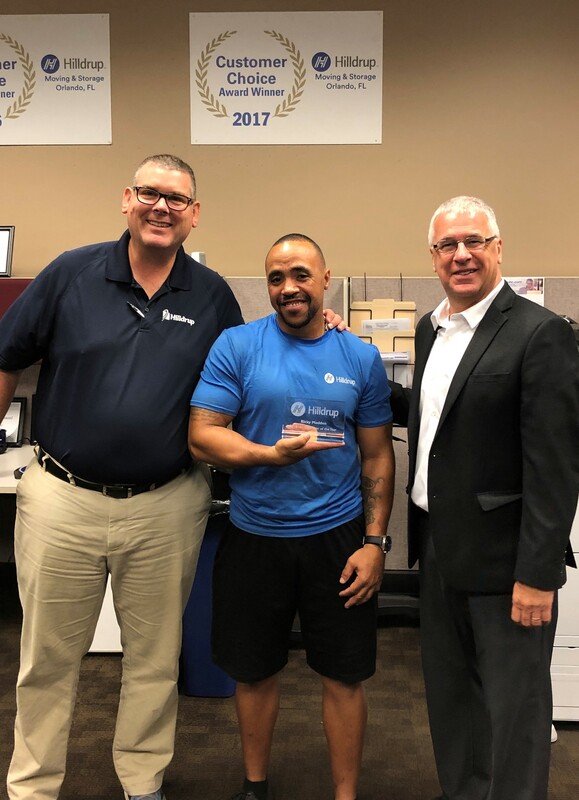 Recently, Hilldrup Orlando held their year-end awards to recognize employees who displayed the highest levels of work performance and customer service throughout 2018. 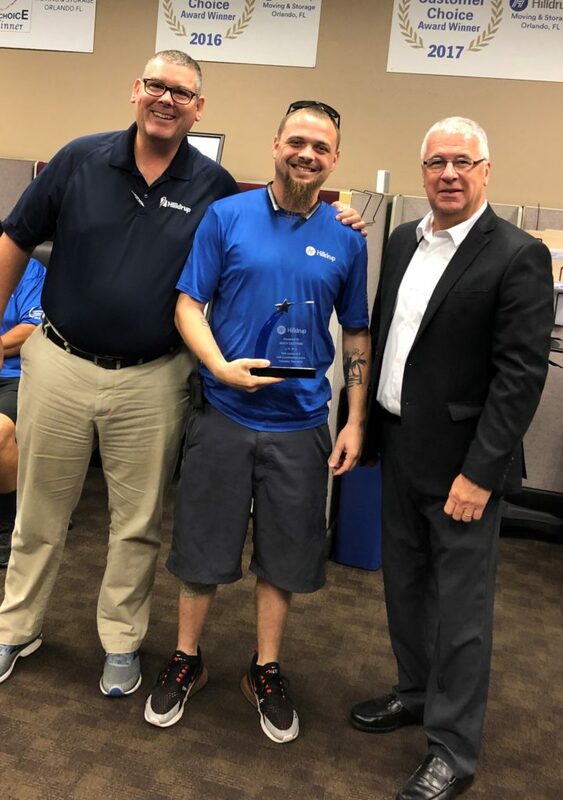 Full of congratulatory kudos and support for Orlando’s operations team, the year-end awards presentation was led by Ed Fitzgerald, VP and General Manager of Hilldrup Orlando, and Jeff Swim, Operations Manager. One of the most coveted awards during the presentation was none other than Orlando’s Van Operator of the Year. 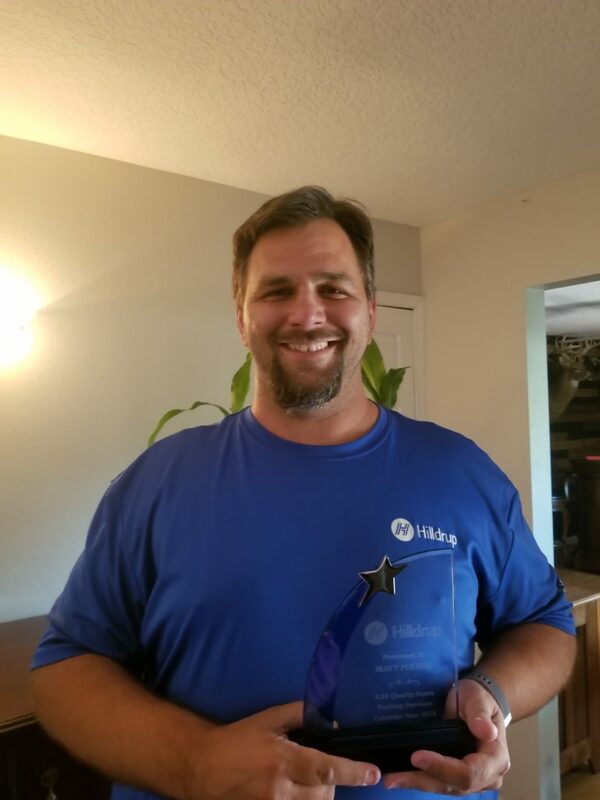 Based on quality scores and outstanding customer service comments, this accolade was presented to Ricky Madden. Well done, Ricky! 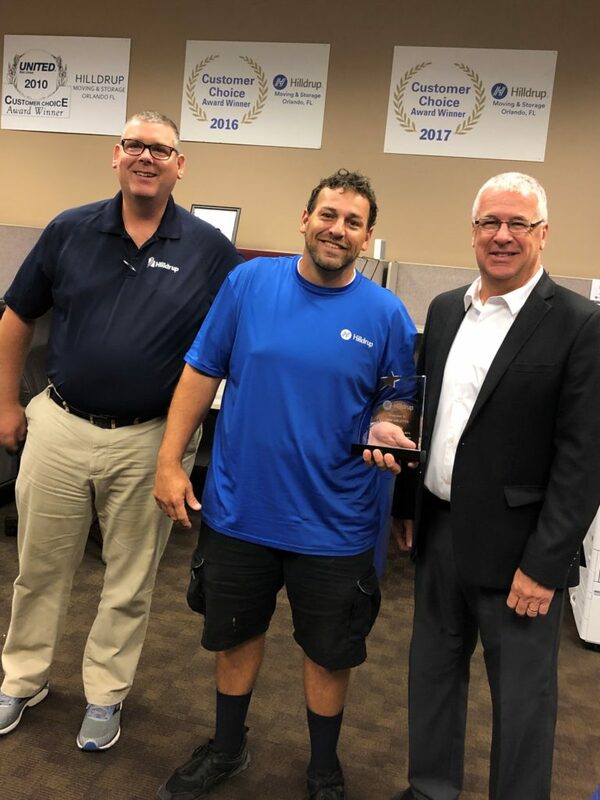 Van Operator of the Year for Orlando, Ricky Madden (center) was presented his accolade from Jeff Swim (left) and Ed Fitzgerald (right). 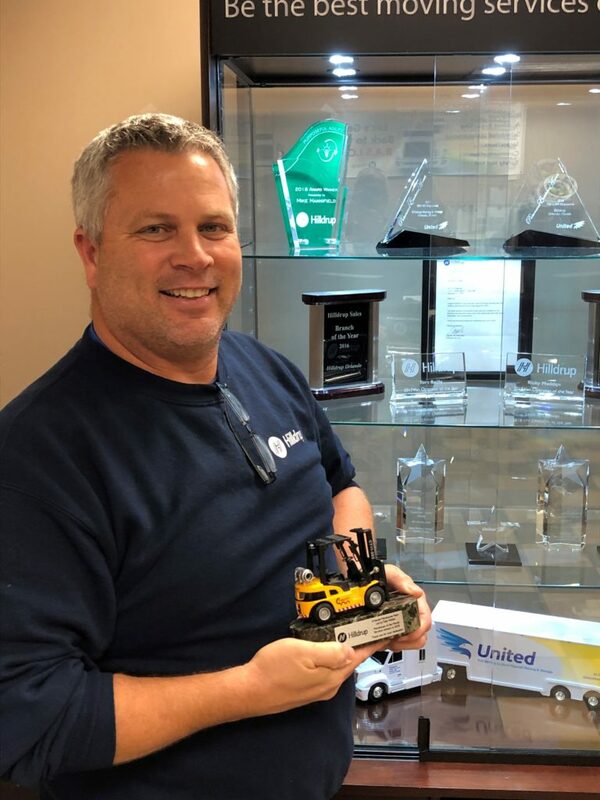 In recognition of earning a score of “5” out of 5 an outstanding 92% of the time in 2018, and for maintaining an overall load and delivery score of 4.90, with 5 being the best score possible, in 2018. Most consistent scores over the course of 2017 and 2018 by achieving a success rate of scoring a “5” out of 5 91% of the time through surveys submitted by his customers. Quality packing services, best quality score for a van operator with an overall packing quality score in 2018 of 4.82 out of 5. 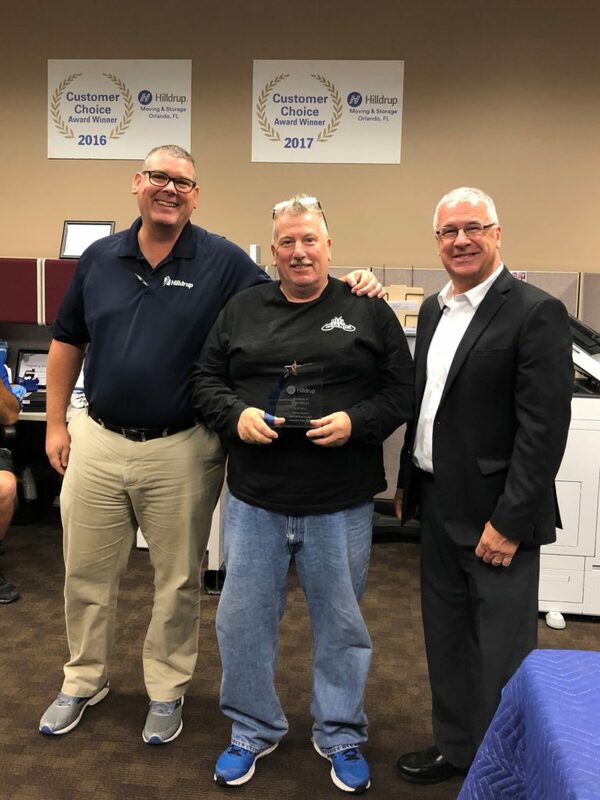 Outstanding service and dedication to the Hilldrup Orlando Commercial Division in 2018. 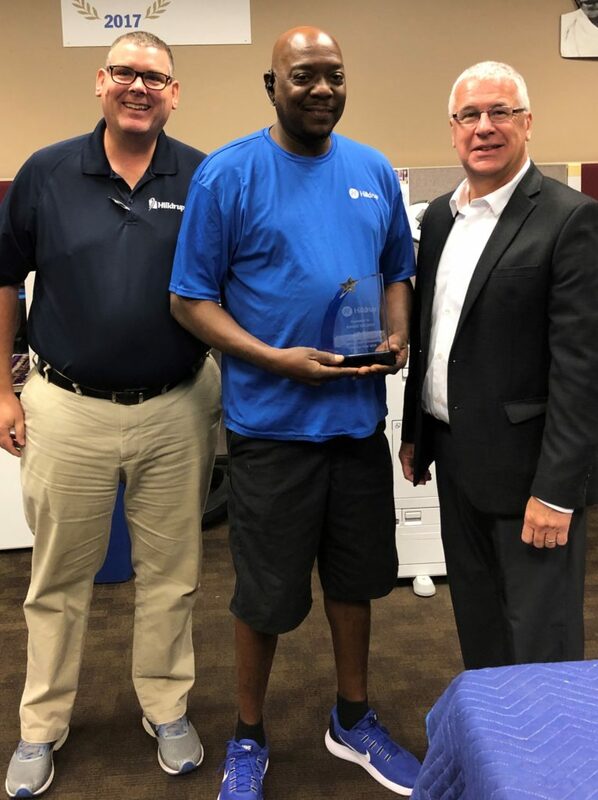 Orlando’s Van Operator with the highest Safety Performance Rating for our fleet, with a score of 55,587 out of Orlando’s branch average of 4,500. For the first time, achieving the Hilldrup “Warehouse of the Month” recognition six times in 2018. Way to go, team Orlando! We look forward to continuing to celebrate your success throughout 2019 as well. Job well done!